When was the last time you went to a website that wasn’t trying to sell you anything? Even if you might have been researching general information on a topic, not to purchase anything, there was still probably an advertisement that linked you out to a product or service for you to purchase. The affiliate who posted that ad would earn a commission off of anything you purchased through the link. You (the potential customer) look up something online. You’re sent to a site that provides information on the topic you’re researching. The site also offers other products, services or advertisements. You click on one of these ads and it “links” you to another site where you decide to buy. That “link” is associated with a specific affiliate (also referred to as a marketer or publisher). When you purchase the product at the next page, the affiliate gets a percentage of that sale for having sent you there. You, the consumer, might not even realize everything that’s going on “behind the scenes” of your transaction. You might not even realize you left the original site you started on. Notice that during your purchase transaction the affiliate didn’t even have to be present for the sale. The platform was pre-constructed to draw you there. The information on the product was already posted, allowing you to decide to buy (or not) and complete your transaction. You never even interacted directly with a “salesperson”. That doesn’t mean that the salesperson (affiliate) doesn’t exist, or isn’t paying attention. A good affiliate marketer will know that customer interaction, and relationship-building, is a necessity to their business, but in the world of the Internet, it has to be developed using different methods. This is one way that online affiliate marketers generate what we call “traffic”, or their customer base, to their own offers. Traffic consists of the potential consumers who ultimately land on the affiliate’s site, whether to buy, browse, or just research a topic. Traffic is one of the top concerns for an affiliate marketer. Marketing affiliates use many methods that they can come up with in order to generate traffic. One way is to redirect traffic to an affiliate site through an internet ad. Email lists, social media, online classifieds and video channels like You Tube, are also vehicles to create or retain traffic. The heavier the traffic on an affiliate site, potentially the more sales generated, and the higher the commission. Why Choose Online Affiliate Marketing? 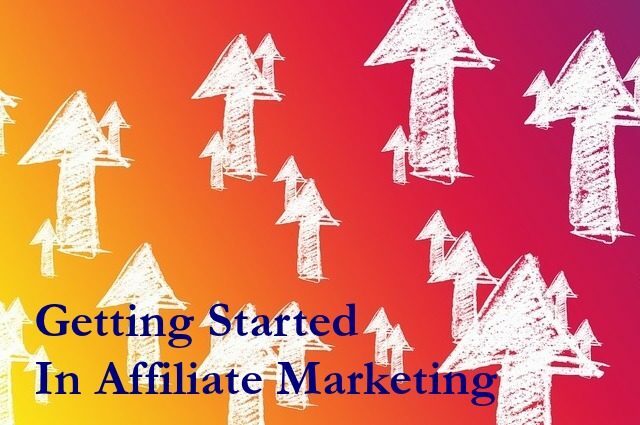 There’s a big attraction for breaking into affiliate marketing online. Many people might be looking for work they can do from home, or during their own preferred hours. Some are looking for a way to work online, and may already have the marketing background to support it. Many others are looking for a “get-rich-quick” scheme. If you are looking at different prospects to invest in or support as an affiliate, be aware of the tons of scam offers on the internet offering millions of dollars overnight. There are plenty of legitimate businesses to support your development as an online affiliate, so do your homework wisely.